If you have Masters practice round tickets or tournament badges to sell, we are always looking to buy Masters tickets. PRIMESPORT pays top dollar for all 2019 Masters tickets, with numerous offices available for those sellers wishing to be paid in cash, including one in Augusta. Competitive pricing -- We are committed to paying top dollar on Masters tickets and tournament badges. Ease of transaction -- We provide many different options to complete the purchase of your tickets. Inquire today so we can give you a quote. Call or text us at 706-566-3430 for an immediate quote or fill out the form below for a prompt response via email. How do I sell tickets to Masters? Visit PRIMESPORT.com and fill out our form with your Masters ticket details and contact information -- click submit, and you're done. A representative will be in touch within a couple business days with an offer to buy your tickets to Masters practice round or tournament rounds. Please be sure to provide the number of Masters badges you're looking to sell as well as the days they are valid for. How much do you pay for Masters badges? As one of the most exclusive events in sports, it is true that grounds passes in Augusta can fetch a good amount for those fans trying to sell these premium golf tickets. The amount we offer to buy your ticket depends on a number of factors, including which day you are looking to sell, basic supply and demand in the marketplace, and the year. Masters tournament round badges are generally in higher demand than practice round tickets, however, Wednesday's final practice round day that also includes access to the always popular Par 3 Contest is an exception. But you can always rest assured that PRIMESPORT will pay top dollar for your Masters tickets. 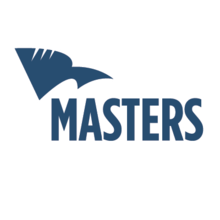 Why should I sell my Masters tickets to PRIMESPORT? Reputation, convenience, and peace of mind. We are a leader in the sports travel industry with partnerships that span numerous leagues and organizations nationwide. So you can trust that when you sell your Masters tickets to PRIMESPORT, you are dealing with a reputable company backed by the PGA of America, NCAA, and NFL, just to name a few, and we operate numerous official ticket exchanges for those partners. In addition, our decades of experience at Masters combined with our permanent hospitality houses located just across the street from the course, means that PRIMESPORT is here to stay at Masters. Click Here to learn more about us and our family. The convenience of selling your Masters tickets to PRIMESPORT is almost unmatched. From contact to quote to payment, you can be paid in as little as a week for much of the year, as early as the next day leading up to the event, or even the same day if you're in the Augusta area. Why waste your time listing your Masters tickets on other marketplaces and crossing your fingers, hoping they sell. Contact PRIMESPORT today to sell your practice and tournament round badges to Masters and leave with the peace of mind that it's a done deal, and your pockets are about to become a little heavier. We'll even pay for your Masters badges in cash if you're local to one of our many offices nationwide.